Alana joined the ARC Centre of Excellence for Coral Reef Studies as Assistant Director in 2016. 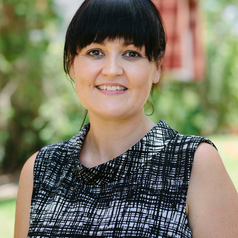 Her research uses spatial technologies, such as geographic information systems (GIS), geostatistics, network analysis, biophysical models and reserve design software, to inform the conservation of Australia's coastal environment. Specifically, her research develops new methodologies for cumulative impact assessment (CIA), and explores the implications of CIA in environmental decision-making, policy and practice. Other research themes include spatial predictions of coastal and marine features and conservation planning and Indigenous Australia.